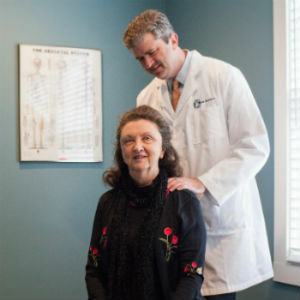 At Doster Chiropractic, we are passionate about providing gentle, natural and effective chiropractic care —to not only provide patients with pain relief but better health. A broad array of techniques, including hands on as well as instrument-assisted ones, are available to help you meet your health and wellness goals. Just as no two fingerprints are precisely alike, no two patients’ needs or problems are exactly the same. Everyone deserves a doctor that will treat them as an individual and will truly listen to them and do whatever is necessary to identify the underlying cause of their problem. At Doster Chiropractic we pride ourselves on being great listeners as well as great doctors. Every patient receives a thorough orthopedic, neurological and chiropractic examination that is tailored to their needs and goals. Although each patient receives our absolute best and most thorough care, we understand that not everyone is looking for the same thing. Some patients are looking for pain relief only, while others are interesting in achieving long term health through exercise and rehabilitation. Whatever your goal is, we are here to help you achieve that goal in a pressure free environment. Although we never take x-rays unless absolutely necessary, in more serious cases where x-rays are needed, we have an on-site state of the art digital x-ray machine available. This technology gives us the ability to see your x-rays instantly, zoom in on any areas of interest and burn a CD copy for you. Discover the many benefits of chiropractic care. We look forward to helping you with a wide range of conditions. Contact us to book a same-day appointment today!